The well-known Japanese consumer electronics giant, Panasonic has introduced its new D-Snap music player, named as D-Snap SV-SD870N, offering cool ambient noise cancellation feature (like the Sony Walkman NW-S705) to enhance your music experience. Supports approximately 100 hours of music playback at a single charge. Direct recording directly from music source to SD card when plugged into its docking station. 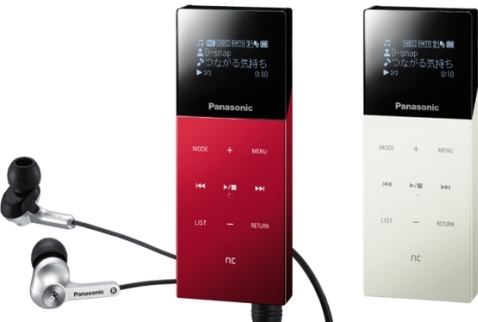 The new Panasonic D-Snap SV-SD870N DAP (Digital Audio Player) which measures 35x90x11.4mm and weights only 40g will hit Japanese market on April 18th but no words on its availability at other areas yet.